Urban agriculture received strong support with new legislation in San Francisco. Photo by Linda N.
The Hanoi Department of Transport presented a five-year, 260 trillion dong (USD12.44 billion) transport development plan this past Tuesday. Despite criticism regarding cuts to transportation funding in the newly passed U.S. federal government budget, the TIGER transportation grant program will launch its third installment this year. The available funding pool of $528 million will be open for applicants most likely by early summer. New York City Mayor Michael Bloomberg released PlaNYC 2.0 yesterday, the second installment in the city’s sustainability plan. Though PlaNYC 1.0 emphasized transportation reform, the new plan casts a wider project area net. A new study by epidemiologist Ningqi Hou of the University of North Carolina examined the relationship between neighborhood streets and physical activity. The New York City subway crime rate increased by 17.8 percent during 2011, according to new data released this week. Raymond Diaz, head of the NYPD’s transit department, cites the jump in deviant behavior to an increase in the theft of smart phones and tablet computing devices. The French government displayed its eagerness to reduce air pollution this week in announcing the Priority Action Zones for Air (ZAPA) project. The project will ban the use of high-polluting vehicles in eight volunteer French towns starting in summer 2012. The U.S. Environmental Protection Agency released its annual Greenhouse Gas Emissions Inventory this past week, showing a decrease in CO2 emissions from transportation-related fossil fuel combustion of 1,789 to 1,719 tonnes of CO2 equivalent between 2008 and 2009. Biofuels and bioenergy found fuel this week, as the U.S. Departments of Agriculture and Energy announced $30 million of available funding for research and development projects. The International Energy Agency posited the promise of biofuels on Wednesday in announcing their potential to displace 27 percent of world transportation fuels by 2050. San Francisco pushed the policy edge for urban agriculture this week with Mayor Ed Lee signing in new legislation. 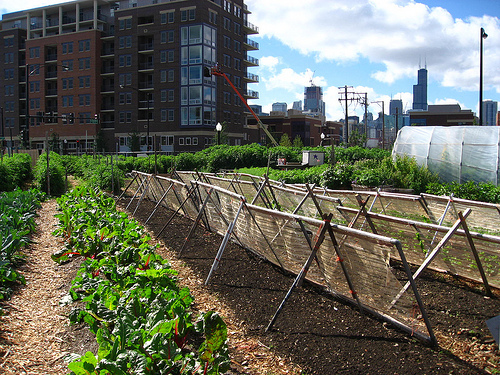 The legislation permits urban agriculture in all city zones, legalizes gardens to sell produce on-site, and reduces the permit free from $3,000 to $300. The Nisson Leaf, a 100 percent electric and zero-emission compact car, was named the 2011 World Car of the Year at the New York International Auto Show. Chevy announced early performance feedback on its hybrid-electric Volt car. The feedback found Volt owners consistently drive more than 1,000 miles before requiring a gas fill-up. The popularity of green roofs in the United States has surged in recent years, growing by 30 percent during 2010. China, with $15 billion in electronic vehicle government investment, is forecasted as the future leader in electric vehicle development, according to a new study financed by The World Bank.